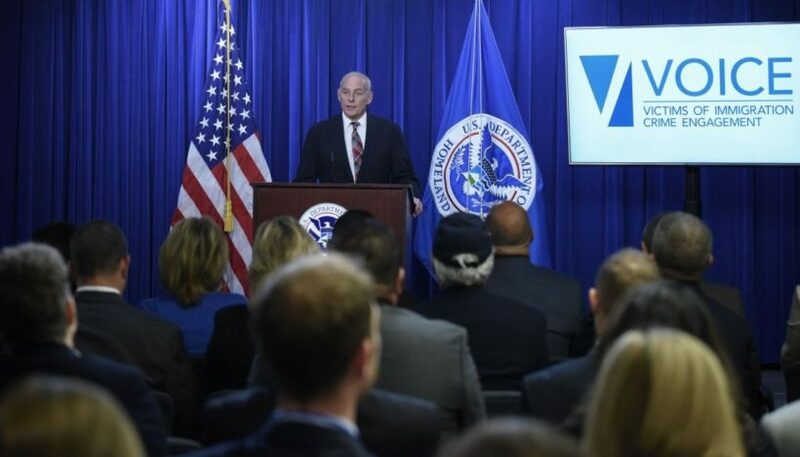 US Secretary of Homeland Security John Kelly announces the creation of the VOICE office during a press conference on April 26, 2017. Many people only read the headline of a news story. That is why it is extremely important for media outlets to provide accurate headlines that do not spin a false narrative. 3. Why is it important for news organizations to provide accurate headlines? 4. a) What responsibility do you think publishers/editors have to provide accurate headlines that are not misleading? CHALLENGE: What would have been a more accurate headline? How does the first paragraph of The Washington Post story differ from those of the New York Times and Los Angeles Times? 1. 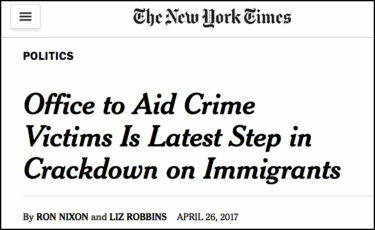 The reader will incorrectly infer that the Trump administration has created the office to single out crimes committed by all immigrants, rather than the correctly understanding the focus is illegal immigrants who commit crimes. 2. 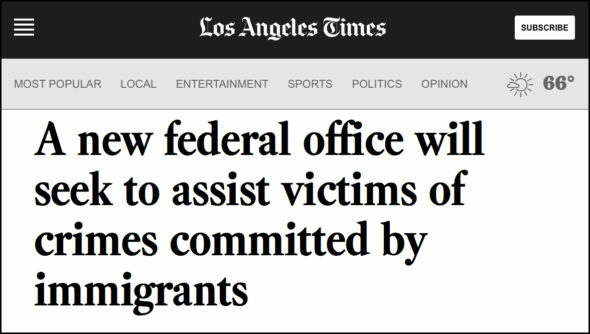 The first paragraph of both newspapers indicate that the office has been created to assist the victims crime committed by illegal immigrants, not immigrants in general. 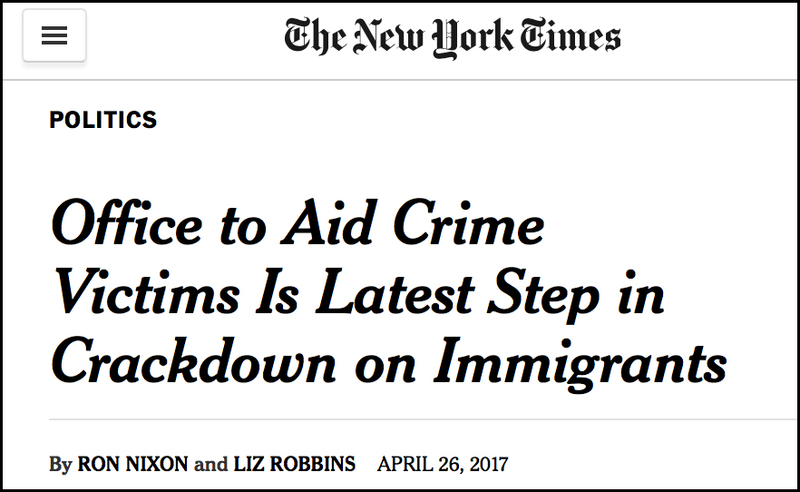 These headlines further the false narrative that the Trump administration is “xenophobic” and opposes all immigration. President Trump has been very supportive of the families of Americans murdered by illegal immigrants and has talked consistently of ending illegal immigration to the United States. 4. a) Publishers/editors should always provide accurate headlines that are not misleading. They should take this responsibility very seriously if they want the public to trust them and not view them as completely biased. b) Read the whole article and not just the headline/caption/1st paragraph. Also, read multiple news stories on the same event. It will give a more accurate picture of what actually occurred. Also, watch a video of those featured in a news story to hear what they have to say in their own words, as opposed to reading shortened or paraphrased quotes from the person. 5. The NY Times and LA Times first paragraphs both clarify their headlines by explaining that the office is to assist victims of crimes committed by illegal immigrants. The first paragraph of The Washington Post article misleads readers by misrepresenting the purpose of the new federal office. 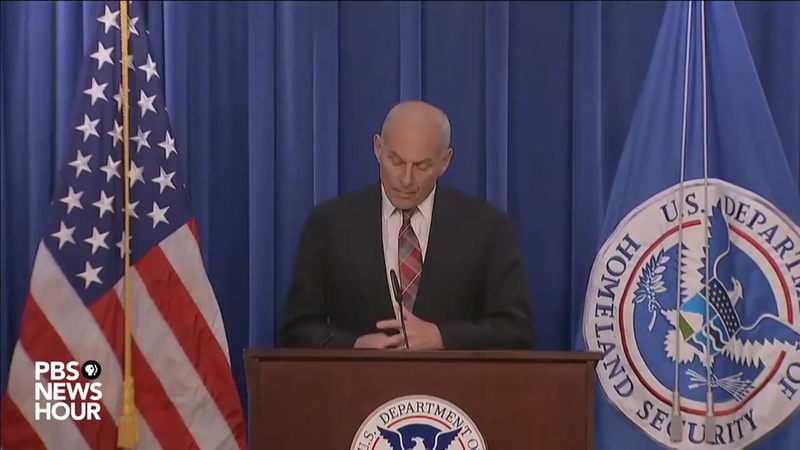 Visit the Department of Homeland Security’s VOICE website for more information. Who was Kate Steinle? Who was Jamiel Shaw Jr.?